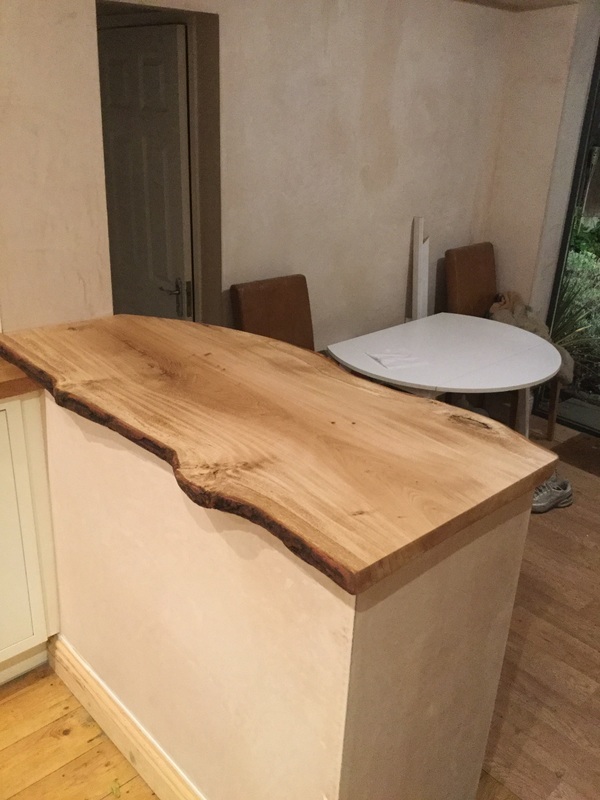 This is a feature bar/work top in a kitchen. 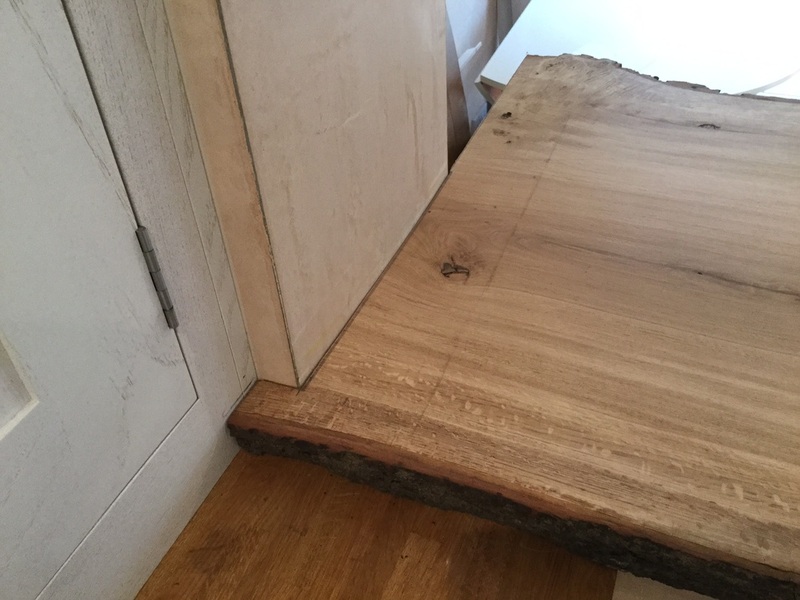 It is made from one piece of oak measuring 1880 x 580 x 50mm. The bark was mainly left on other than where it needed shaping. 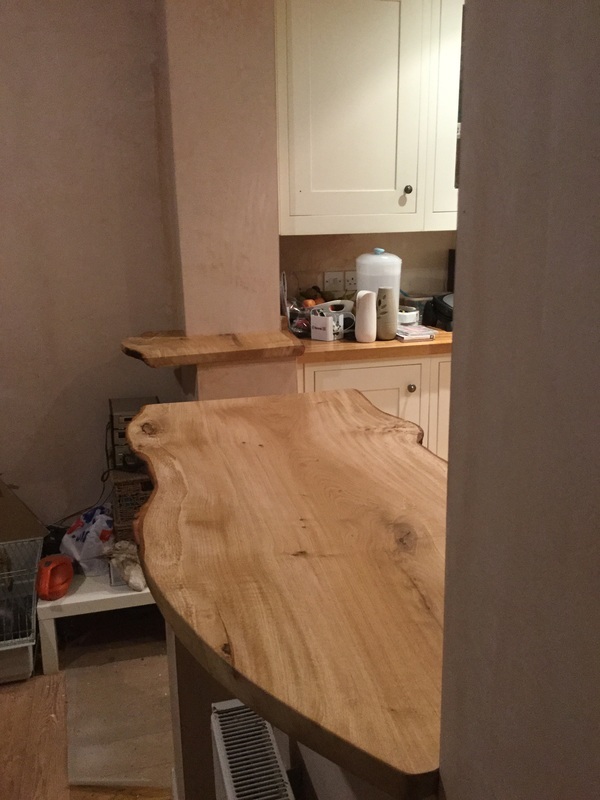 The wood was finished in a matt worktop oil. 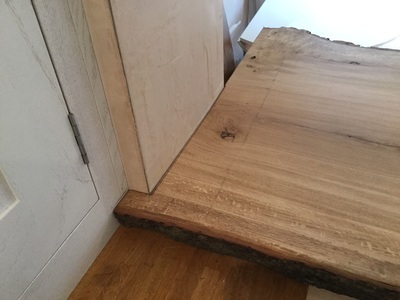 The timber was mainly prepared off site, shaping and final sanding was done on site. The customer and I was really pleased with the final fit and finish of the oak, it had bags of character and offers something a little different in there kitchen. 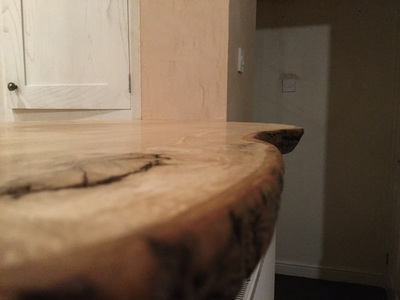 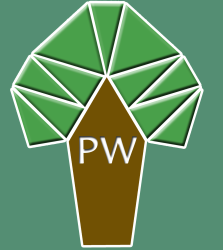 As with all my projects if there is something you see and it sparks an idea get in touch, either for a quotation or some advice on how to build, finish, source, sand etc... your own project.